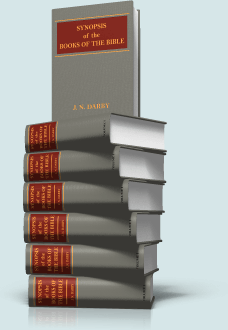 John Darby's Chapter Synopses present commentary chapter-by-chapter instead of verse-by-verse. Published in English as Synopsis of the Books of the Bible in seven print volumes. Book and Chapter commentary for the entire Bible. Concise commentary on the whole of Scripture. Teaches from a premillenial dispensational position. 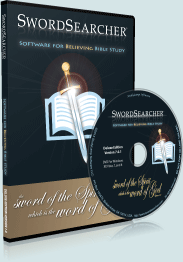 Darby's commentary from the Synopsis is one click away from any Bible chapter in SwordSearcher. "[The Synopses] open up the Scriptures in their comprehensiveness in a way that nothing else has ever touched."